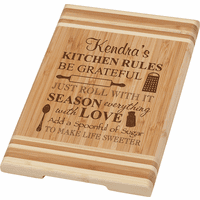 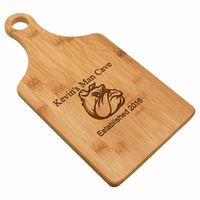 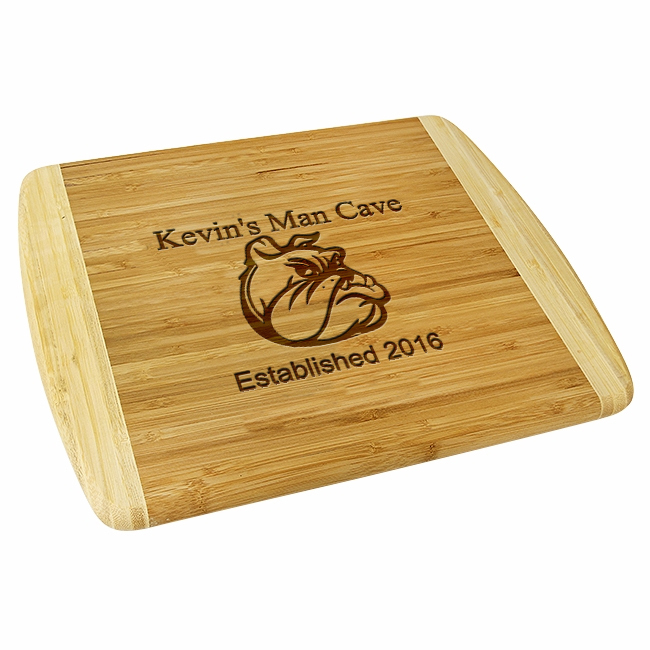 Able to hold enough snacks for the whole gang in the mancave, this two-tone bamboo cutting board measures 18" x 12", and has rounded corners and smooth, beveled edges. The top surface features our laser-engraved "Snarling Bulldog" design, and your purchase includes free personalization of a name and "date of establishment". The bamboo cutting board comes packaged in a gift box. 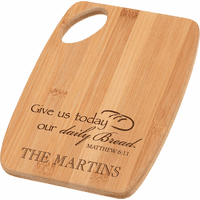 Dimensions: 18" x 12" x 3/4"